Sometimes – especially when I’m not eating sugar – I can’t help but thinking up new ways to make sweet things. 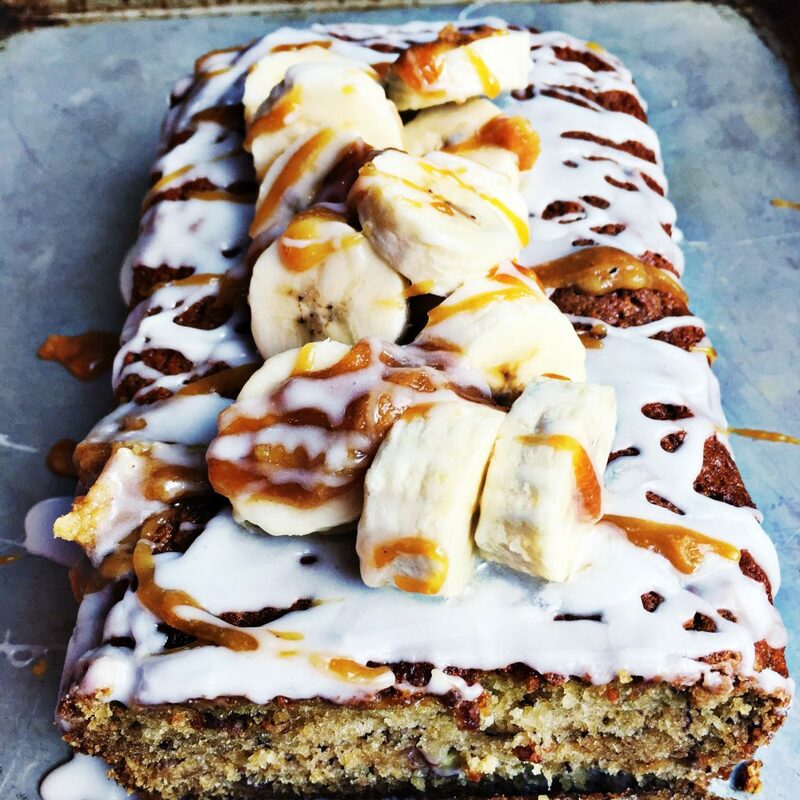 My kids loved this Olive Oil Banana Bread, especially with all the yummy toppings. 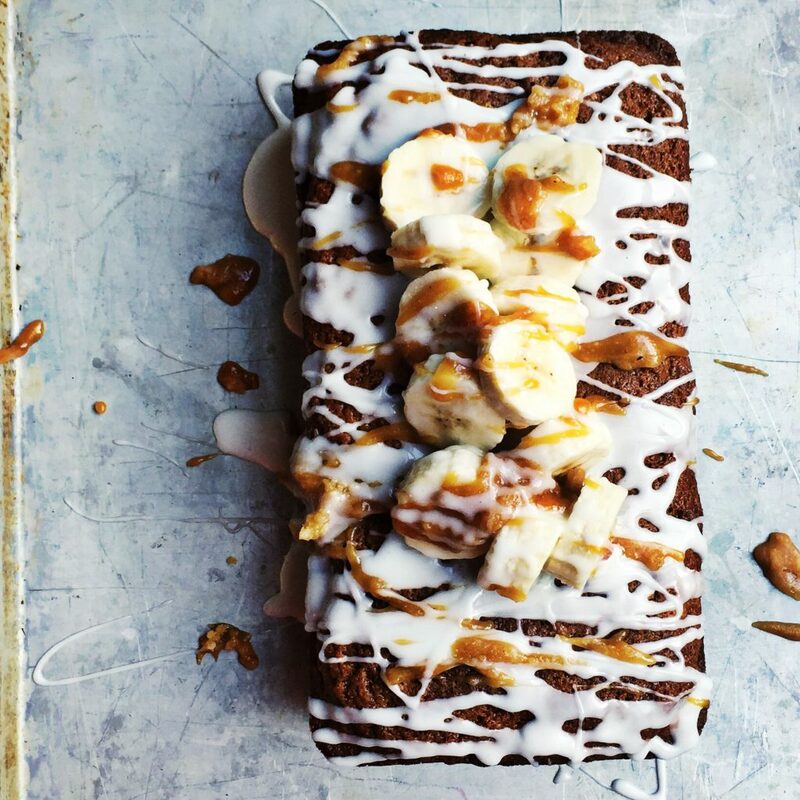 Caramel and bananas go so well together. You can make a caramel if you’d like (head white sugar in a pan until it turns into a liquid, then add cream), or you can buy a nice jarred kind, like this one from Stonewall Kitchen. Just drizzle it on top! 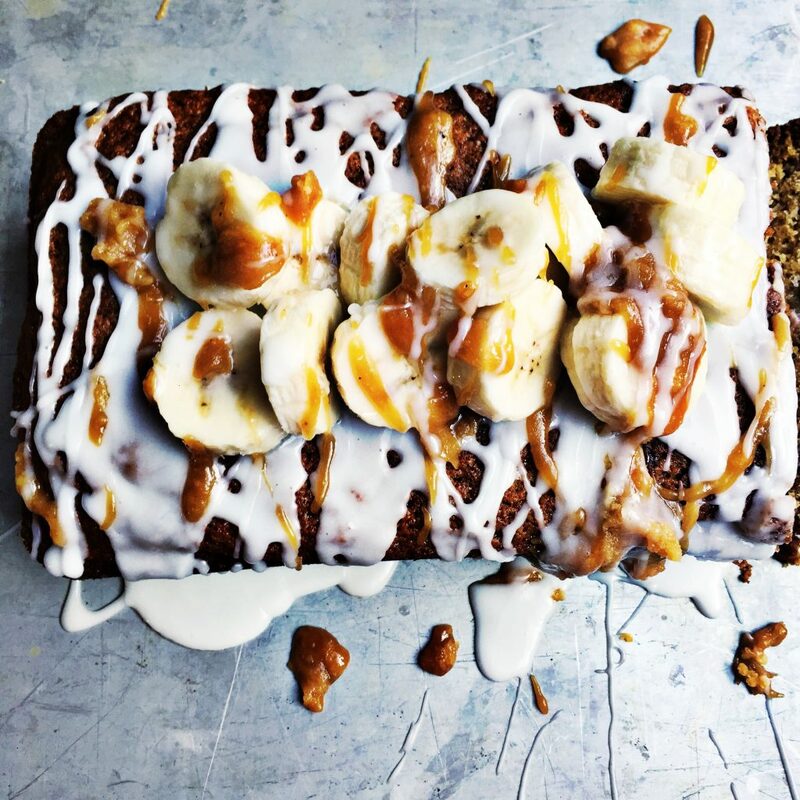 I like the white icing too because it keeps the banana bread from drying out. Lots of things would make good toppings – chocolate, toffee, coconut, walnuts – whatever you have on hand! 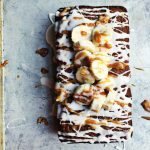 I hope you and your family love this Olive Oil Banana Bread. Mix olive oil and melted butter. Add sugar, eggs, milk, vanilla. Combine dry ingredients separately, then add to sugar and oil mixture. Add mashed bananas. Mix well. Bake in 2 full-sized bread pans that are well-greased. Bake for 45 minutes – 1 hour at 350, or until the middle bounces back upon touch. Once rested for 15 minutes, turn out onto plate or cookie sheet. 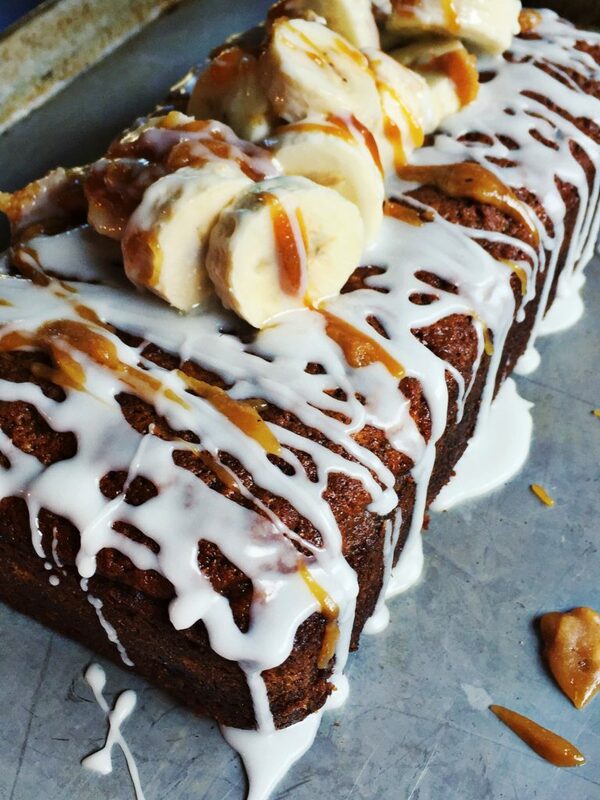 Top with any desired extras - caramel, icing, extra bananas, etc. I used a caramel topping. For white icing, mix 1/2 c. of powdered sugar with 2-3 tbsp of milk. Whisk until smooth. Drizzle on top. Click here to see some of my other desserts. I hope you love this too! 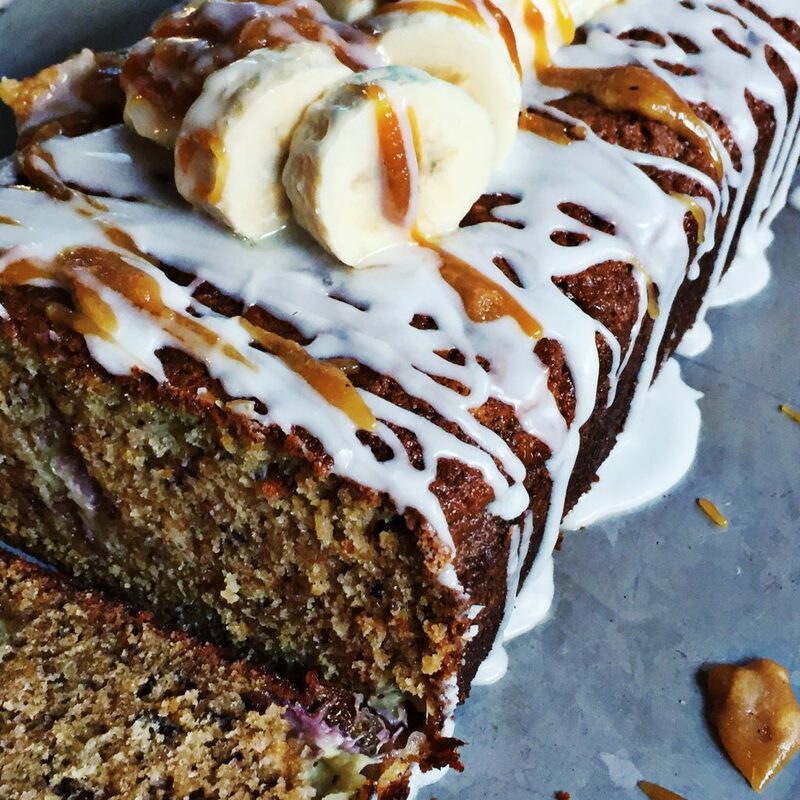 Thanks for reading this Olive Oil Banana Bread recipe! Let me know if you like it. 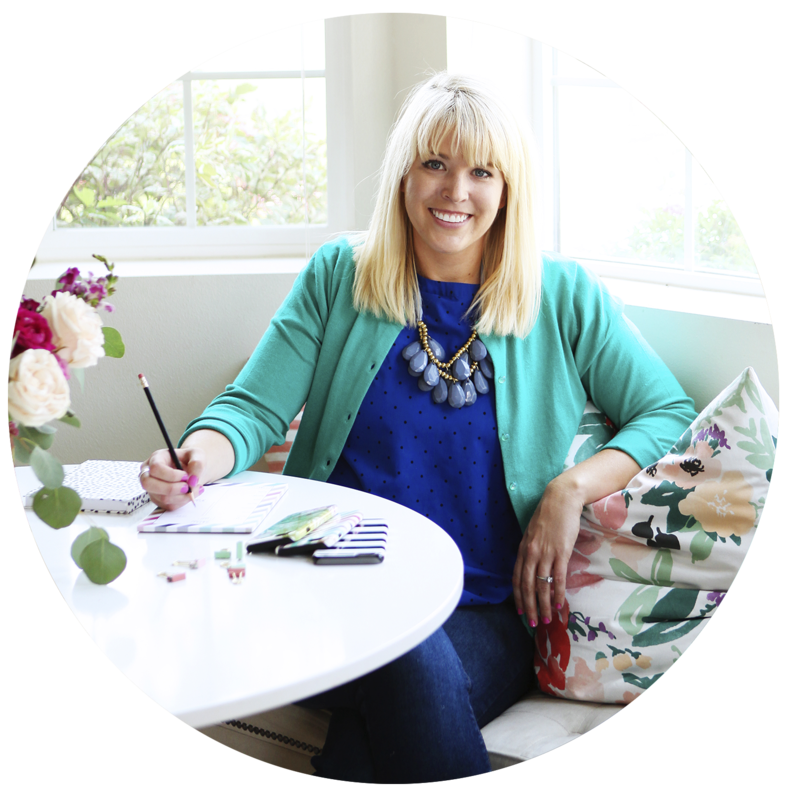 And be sure to follow along on Instagram, Facebook, and Pinterest for more recipes, planning, and design!